Electoral rules help to make democracy work. Small variations in them influence the type of democracy that develops. The field of political science has defined the study of why and how this happens. Political scientists have contributed to the world of electoral systems as scientists and as engineers. Taking stock of recent scientific research, this report shows that context modifies the effects of electoral rules on political outcomes in specific and systematic ways. 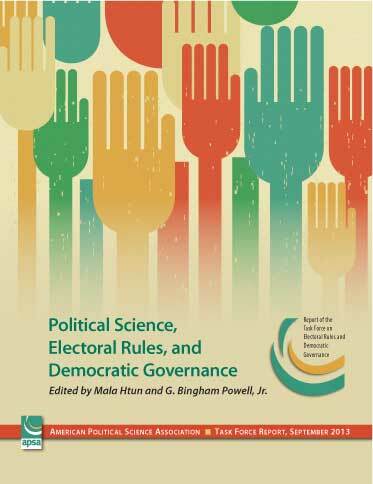 It explores how electoral rules shape party systems, the inclusion of women and minorities, the depth and nature of political competition, and patterns of redistribution and regulation. It considers institutional innovations that could promote political equality. Finally, the report describes the diverse ways that political scientists are producing an impact on the world by sharing and applying their knowledge of the consequences of electoral rules and global trends in reform.